Empire Resorts in Sullivan County, announced they will be closing down a large proportion of their Monticello Casino and Raceway this week, after a rough few months with enticing new business to the establishment. They also own the $1 billion Resorts World Catskills nearby. The establishment has been in operation for a year, but has allegedly been facing difficulties attracting visitors since it opened. Empire were operating approximately 3,300 slots between the full-service casino and their harness track. 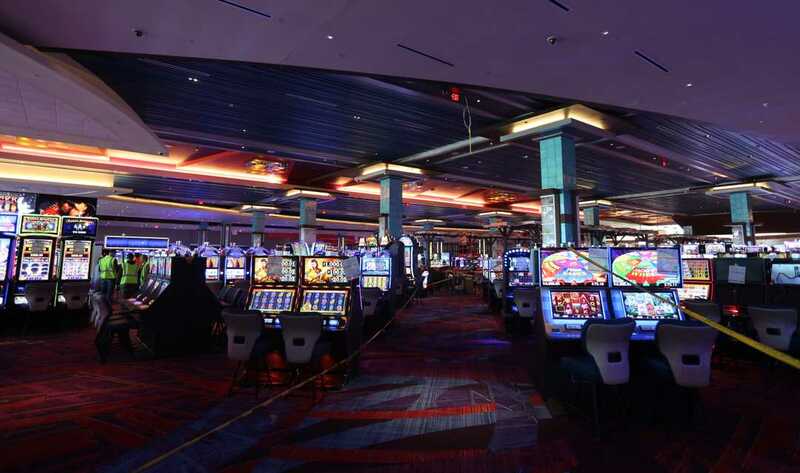 It is said, they have made the decision to close down approximately 1,100 of the slots and the racino in the Monticello Casino from April 23, in a bid to lure gamblers to their other facility. CEO of Empire Resorts, Ryan Eller said “It doesn’t make sense to continue that competition. The population density (in the Monticello area) doesn’t support 3,000 machines. The playing environment at the big resort, and its ability to offer newer, state-of-the-art machines, are more attractive to players.” he said. The state’s gaming commission did not provide any comments over the news about the closure, but it has already been agreed that both establishments will still continue to provide a share of the racino’s profits, as well as any other revenues that come from the 2 establishments. Of the raceways 200 or so employees, 40 will be able to remain at the track, whilst other workers affected will be reassigned to positions at the Resort World instead, or be offered some kind of compensation. 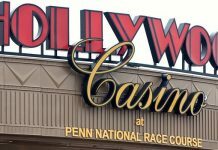 The closure of the racino will be the first in the state, since horse racing tracks were given the green light to add video-lottery terminals back in 2001. 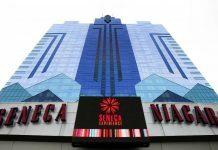 Even though Catskills is the largest and newest of the 4 casinos operating in Upstate New York; Rivers Casino & Resort in Schenectady; Del Lago Resort & Casino near Waterloo in the Finger Lakes; Tioga Downs west of Binghamton in the Southern Tier – neither of Empire’s establishments are currently making any profit, and according to Middletown Times Herald-Record, both businesses are down on revenues by approximately $10-$13 million every month. Interestingly enough, none of the 4 full-service casinos (which include a racino as well as a harness track with slots) are generating the revenues initially promised to the state when they all had their licenses granted. This has raised concerns towards an oversaturated gambling industry within Upstate New York. If sports betting becomes legal, as per Governor Andrew Cuomo’s proposal last year – all 4 of the casinos in the state could benefit greatly from the substantial revenue streams it would generate. But, Eller seem to think unless sports betting became restricted to the state casinos only, it wouldn’t make much of a dent in profitability compared to online betting through casinos; something which would require an amendment to the constitution, and could take up to 3 years to be officially ruled out. Along with the recent decision to close down the gambling parlor at Monticello, Eller also confirmed that Resorts World Catskills will look to add additional amenities to their facility, including a state-of-the-art water park and a golf course. This could well put them on the path to reaching revenue targets, if both new features open by 2020 as planned.